The Xterra received minor changes to the exterior and interior for 2009. For 2010, the Nissan Xterra comes with the previous Gear Package as standard on S and SE models, and what was the Technology Package is now standard on SE and Off-Road models. 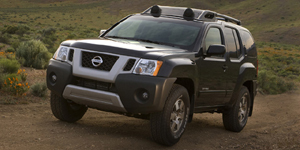 The 2010 Nissan Xterra SUV is powered by a 4.0-liter V6 with 261 hp.